Port Askaig, a place. Where you start the Islay adventure if you get the ferry over, also a mystery malt from Islay by Speciality Drinks (The Whisky Exchange). I’ve been corrected before, but speciality say that these releases have come from a few different Islay distilleries, from Bourbon and Sherry casks. However, all the ones I’ve tasted (albeit only 3) have tasted like refill Caol Ila. My review of the 16 is here. Anyway, I’ve got 2 of the more expensive versions today. 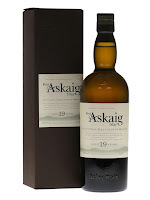 Nose: Fresh Caol Ila-esque tropical fruit, pineapple and some mango, lots of coal. Taste: Quite strong and full, lots of smoke, pineapple, coal and white pepper. Finish: Medium/Long length. Oak with pepper and spice. A nice cask strength expression, I would expect maybe more intensity and complexity but it’s very nice indeed. 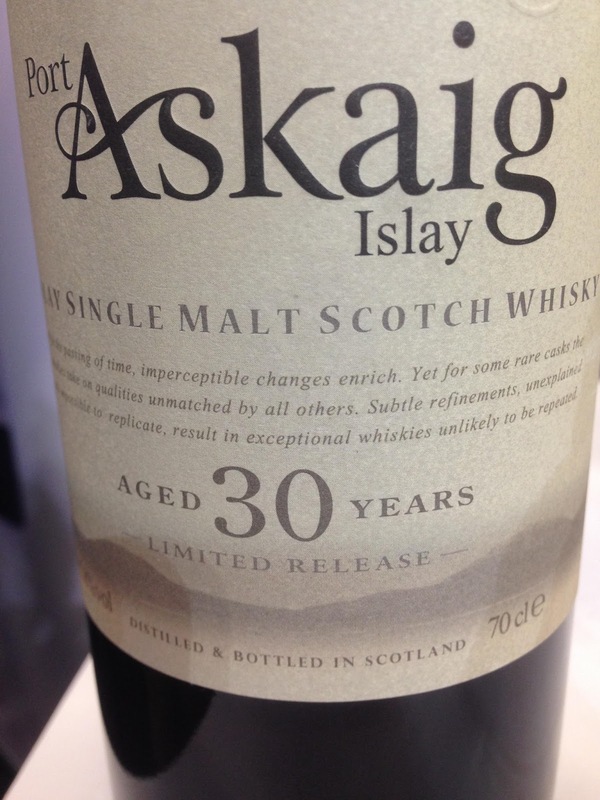 Nose: Dusty tropical fruit, like an old Laphroaig, pineapple, mango and cinnamon combo, waxy. 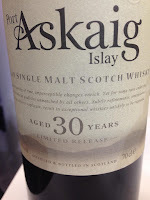 Taste: Light, soft some peat develops but the age has tamed it. Lots of spice from the oak, very dry oak, sea salt, white pepper. Waxy and oily. Finish: Long length. Tropical fruit and dry oak. A different experience to the 19. Lots more oak but has lost the smoke really. Same mark. These are course very nice whiskies but I wouldn’t be buying them for the price. The 30yo is about £200 I think.